Naturhouse’s mission is to re-educate clients about their eating habits in order to help them reach their target weight (“healthy weight”) and show them how to maintain it. Our business model is based on our own, distinctive method – the “Naturhouse Method”. This approach combines the sale of food supplements with free personalised advice and monitoring from a qualified specialist. 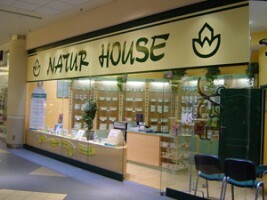 The “Naturhouse Method” is exclusively applied in Naturhouse centres, whether through directly-operated stores (DOS) or franchises. DOS are those managed by the company with its own staff and they tend to be the laboratories for new ideas to be shared with other Group establishments, as well as being used as training hubs for employees and franchisees. 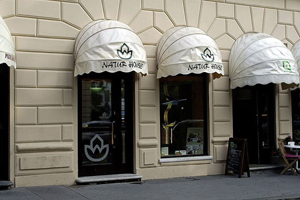 The franchises are Naturhouse establishments run by third parties under a franchise model. Naturhouse also has contracts called “Master Franchises”, through which a third party runs Naturhouse’s business, exclusively, in one country. Food Supplements: made from natural extracts to facilitate the consumption of certain nutrients, which allow for specific actions during the slimming process. Healthy Foods and Drinks: diet products for breakfast, snacks and meal substitutes, which allow users to control their calorie intake. Cosmetics and Body Care: beauty products related to skincare during the slimming process (cellulite, firming products, etc.) and anti-ageing. We also have a system that allows us to ensure product supply for our shops, as Naturhouse is in charge of the entire value chain.